It’s a city unlike any other, with its own distinct personality and rythms. Everything it does, New York does big, from the explosion that blows out the front of the bank, right down to the very impressive bell bottoms worn by the Bank Rollers as they make good their escape from the latest heist. These ultra-cool dudes are making off with their ill-gotten money with style, and there’s nothing to get in their way. See, back in the seventies, another thing that New York had was superheroes. 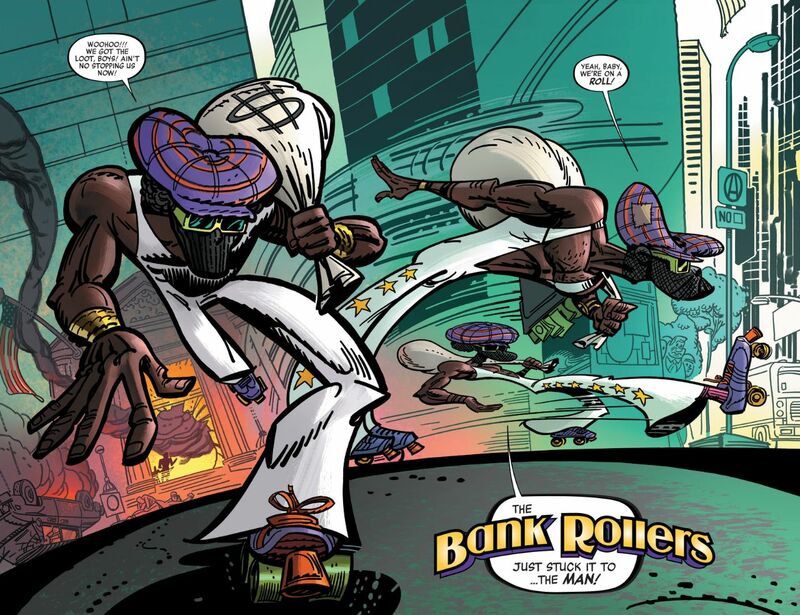 This reality is about to be reinforced on the minds, and dental work, of the thieving roller disco trio as they come face to fist with none other than Cage, the Hero for Hire. Not the Cage we know these days, but the full on yellow silk shirt, silver headband, chain belt wearing Power Man that I read in my youth. 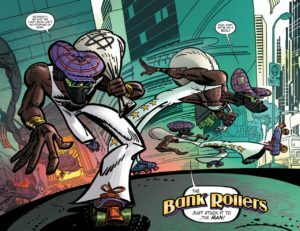 Anyone familiar with the work of Genndy Tartakovsky should have a pretty good idea of what to expect from this series. 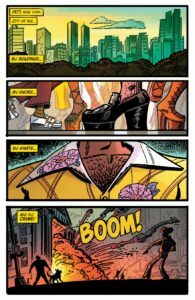 The artistic style fits the cool retro mood of the book to a tee, the characters rendered with nothing resembling realistic proportions, harkening back to Tartakovsky’s work on Dexter’s Lab. More importantly, this book is reminiscent of the series of Star Wars animated shorts that aired on Cartoon Network after the release of The Phantom Menace. That stylized look has carried over through the pretty good Clone Wars, and more recently the very awesome Star Wars Rebels. 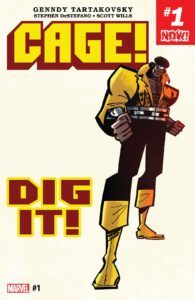 And that style works very well in this throwback tribute to Luke Cage, the one and only Power Man, original member of the Heroes for Hire team. The action is quick and brutal, every punch, kick, and back-handed slap delivered with all the impact that can be worked into a two dimensionally drawn comic book panel. Considering Tartakovsky got his start on a children’s cartoon, he scripts some impressive fight scenes. More than that, though, is the sense of fun involved in this story. 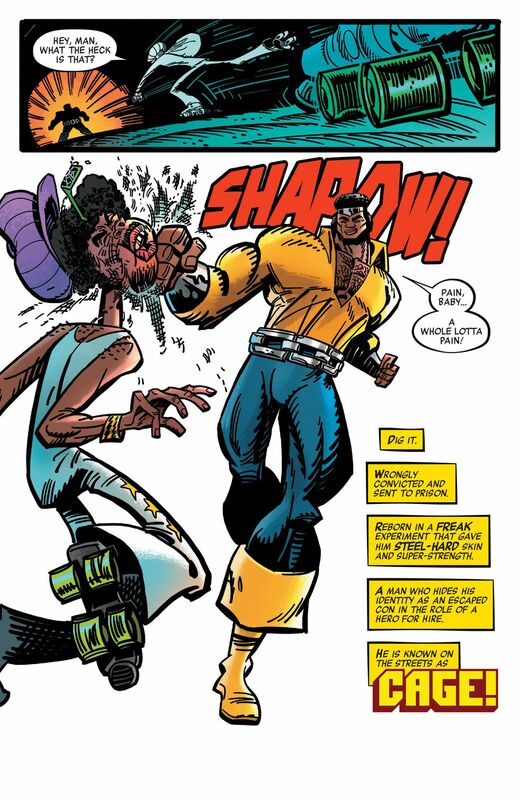 This is a much younger, cockier, more sure of himself Luke Cage. 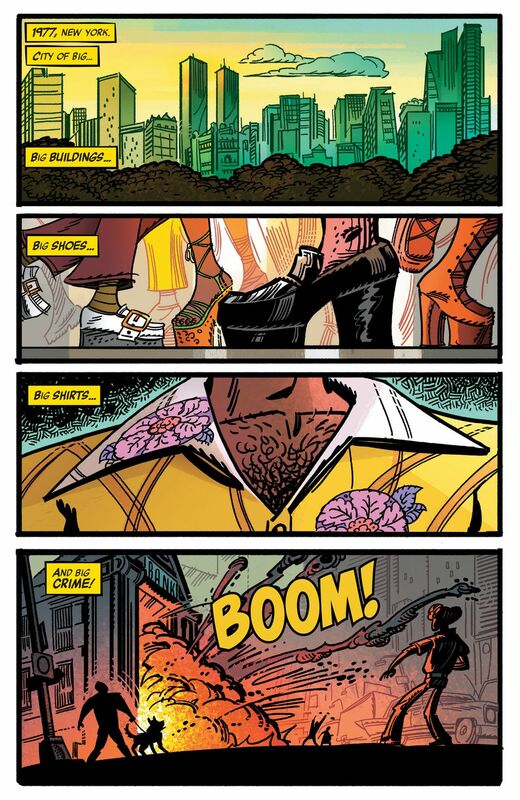 The man has no fear, convinced that he’s pretty much indestructible because… well, because he pretty much is. The whole tone comes together as a tongue in cheek tribute to what for many of the older readers was the heyday of comic book escapism. The brooding anti-heroes all came along much later. 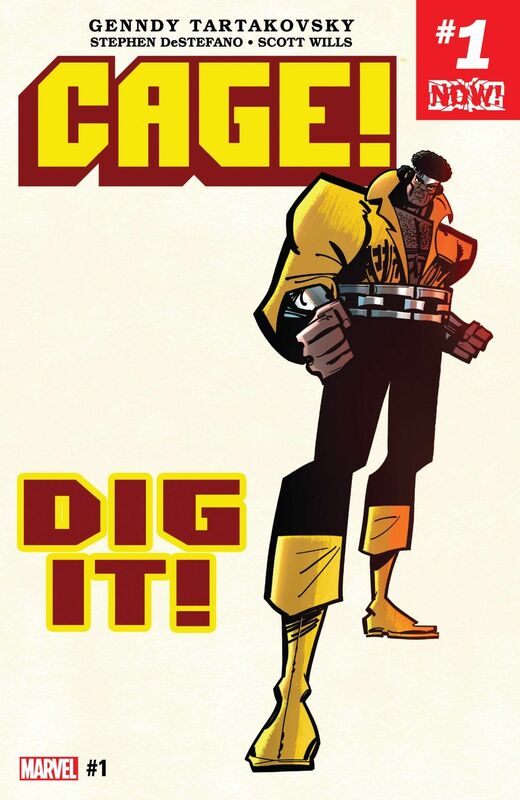 Looking forward to the Iron Fist mini-series that I really hope Mr Tartakovsky’s going to be working on next… ahem, hint, hint. While I do focus mainly on the smaller publishers and independent creators, I couldn’t stay away from this one after reading it. With the recent introduction of Luke Cage to our television screens, this peek through the Wayback Machine is too good to pass up.